Serving the Lake Tahoe region for over 25 years, Don bakes everything from scratch right at his on-site Bakery. The award-winning innovator in cake design creates a plethora of visually appealing and mouth-watering choices. From traditional all-occasion, specialty wedding, flair and signature cakes to cupcakes, pastries, croissants and so much more. The flavors, fillings and options are endless. Celebrate the most memorable day of your life with a wedding cake from Don the Baker & Cakes by the Lake. We are a wedding cake bakery located in South Lake Tahoe, CA that specializes in creating custom designed wedding cakes for brides throughout the Tahoe Area. Let us work with you to design the perfect combination of taste and beauty to create a wedding cake your guests will never forget. We offer a free professional design consultation and tasting. Made fresh on-premise, Don the Baker creatively uses a wide variety of styles, flavors and filling choices to accommodate your most demanding baking needs. 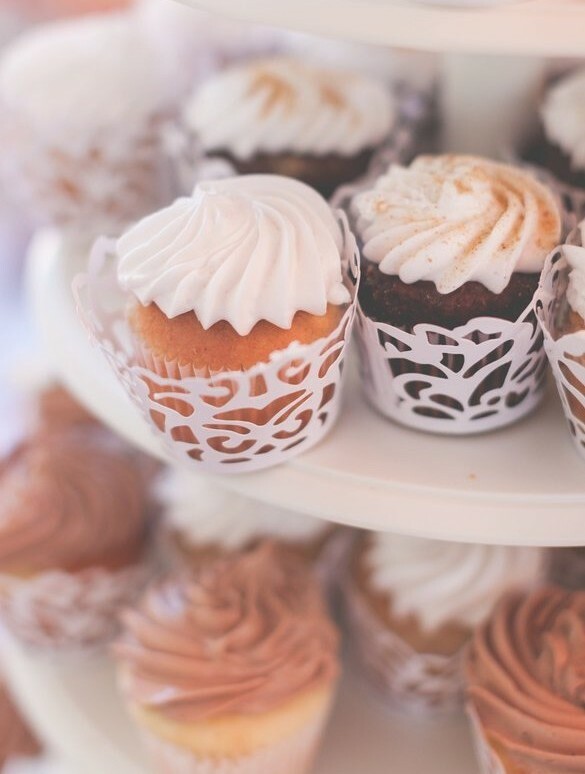 Cupcakes are a great addition to any wedding. Many of our wedding cakes can be paired with a cupcake display. The once simple wedding cake has evolved into what today is a multi-tiered extravaganza. The multi-tiered wedding cake was originally reserved for English royalty. Even for the nobility, the first multi-tiered wedding cakes were real in appearance only. Their upper layers were mockups made of spun sugar. Once the problem of preventing the upper layers from collapsing into the lower layers was solved, a real multi-tiered wedding cake could be created. Pillars as decoration existed long before multi-tiered wedding cakes appeared, so it was a natural progression for cake bakers to try using pillars as a way to support the upper tiers. To prevent the pillars from sinking into the bottom tier, icing was hardened to provided the necessary support. There are some brides today who can’t resist saving the top layer of her multi-tiered cake. Couples freeze the wedding cake with the intention of sharing it on their first wedding anniversary. The tradition has its roots in the late 19th century when grand cakes were baked for christenings. It was assumed that the christening would occur soon after the wedding ceremony, so the two ceremonies were often linked, as were the cakes. With modern wedding cakes becoming more and more fancy and elaborate, the christening cake quickly took a back seat to the wedding cake. When three-tiered cakes became popular, the top tier was often left over. A subsequent christening provided a perfect opportunity to finish the wedding cake. 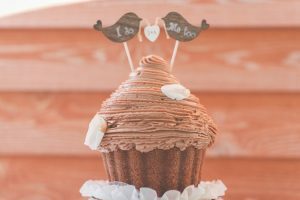 Couples could then logically rationalize the need for three tiers– the bottom tier for the reception, the middle tier for distributing and the top for the christening. As the time between the weddings and the christenings widened, the two events became disassociated, and the reason for saving the top tier of the wedding cake changed. Regardless of the underlying reason, when the couple finally does eat the top tier, it serves as a very pleasant reminder of their very special day.